AMMAN, Jordan Rebels including al-Qaeda-linked fighters gained control of a Christian village northeast of the capital Damascus, Syrian activists said Sunday. Government media provided a dramatically different account of the battle suggesting regime forces were winning. Independent information has been nearly impossible to come by in the 2.5-year-old conflict in Syria. 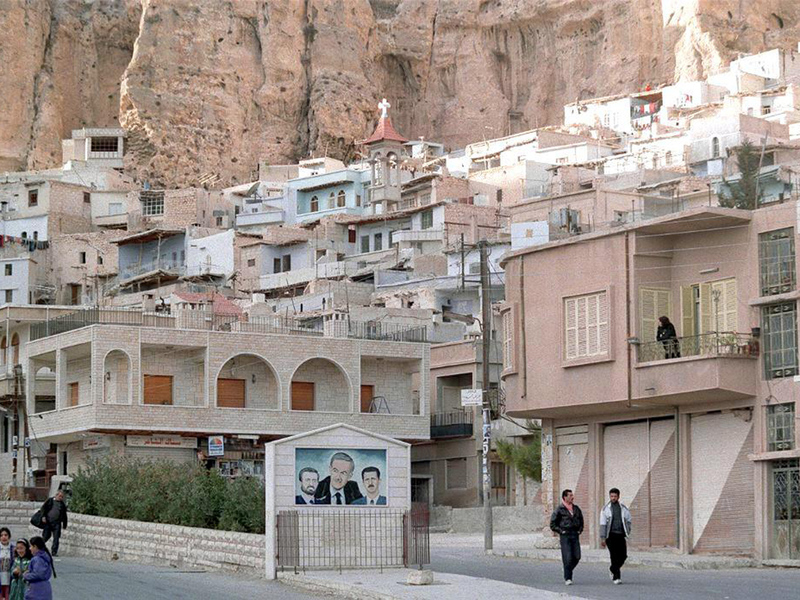 Maaloula, a scenic mountain community, is known for being one of the few places in the world where residents still speak the ancient Middle Eastern language of Aramaic. It was not immediately clear why the army couldn't sufficiently reinforce its troops to prevent the rebel advance in the area only 26 miles from Damascus. Some activists say that Assad's forces are stretched thin, fighting in other areas in the north and south of the country. Rami Abdurrahman of the Britain-based Syrian Observatory for Human Rights said the Nusra Front backed by another group, the Qalamon Liberation Front, moved into the village after heavy clashes with the army late Saturday. "The army pulled back to the outskirts of the village and both (rebel groups) are in total control of Maaloula now," he told The Associated Press in a telephone interview. Initially, troops loyal to President Bashar Assad moved into Maaloula early Saturday, he said, "but they left when rebels started pouring into the village." Now, Abdurrahman said, the army is surrounding the village and controlling its entrances and exits. "They shot and killed people. I heard gunshots and then I saw three bodies lying in the middle of a street in the old quarters of the village," said the resident, reached by telephone from neighboring Jordan. "So many people fled the village for safety." Now, Maaloula "is a ghost town. Where is President Obama to see what befallen on us?" asked the man, who spoke on condition of anonymity for fear of reprisal by the rebels. Syria's state SANA news agency said the army reported "progress" in its offensive against the rebels in Maaloula. "The army inflicted heavy losses in the ranks of the terrorists," it said, using a government term to describe the rebels. "Military operations are continuing in the vicinity of Maaloula and its entrances," SANA said. State-run TV reported that all churches in Maaloula were now safe and the army was chasing gunmen in the western hills. Syrian militia fighters say U.S. strike would be "start of World War III"
As CBS News correspondent Elizabeth Palmer reported from Damascus last week, it is nearly impossible to determine exactly how many religious extremist fighters there are in the country. Best estimates suggest between 15,000 and 20,000 of a total fighting force of say 100,000 are extremists. But they are extremely effective more than their numbers suggest because they're so much better trained and equipped. The development came as President Barack Obama's administration pressed ahead with efforts to win congressional backing and international support for military strikes against Syria over an alleged chemical attack in August outside Damascus. The U.S. says Assad's forces fired rockets loaded with the nerve agent sarin on rebel-held areas near the capital before dawn on Aug. 21, killing at least 1,429 people. Other estimates put the death toll from the attack at more than 500.